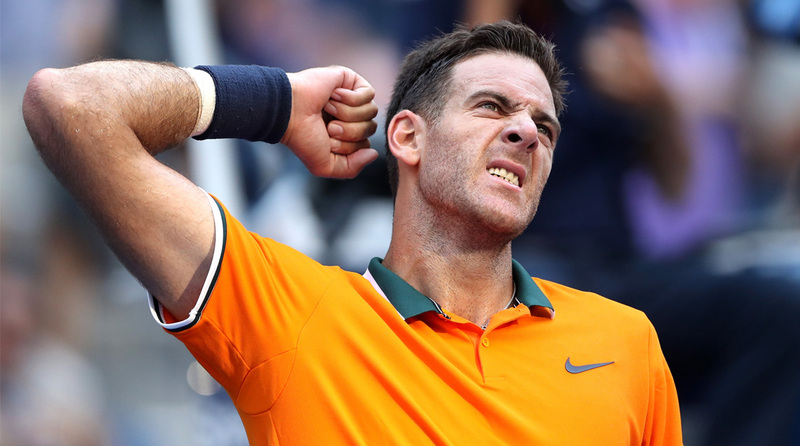 Third-seeded Argentine Juan Martin del Potro rolled through the first two sets and fought off a late challenge in the third to defeat American Denis Kudla 6-3, 6-1, 7-6 (7-4) and advance to the third round of the US Open tennis tournament. The 2009 champion was untouchable on serve and did not face a single break point throughout the one-hour, 56-minute match here on Wednesday, EfE news reported. He also used his normal strategy of low slice backhands and mammoth forehands from the baseline to control play against the speedy Kudla. The 72nd-ranked American was able to keep the third set close and force a tiebreaker. He also rallied from a 6-1 deficit in the third-set tiebreaker, getting one mini-break back before missing a backhand on match point. Next up for the “Tower of Tandil” in the third round of this Grand Slam tennis event will be Spain’s Fernando Verdasco, who edged the UK’s Andy Murray 7-5, 2-6, 6-4, 6-4 on Wednesday. Verdasco needed three hours and 23 minutes to overcome the resistance of the 2012 champion, a former world No. 1 who is trying to make a comeback after undergoing hip surgery and being off the ATP Tour for 11 months from July 2017 until June. Both players struggled in the extremely hot conditions that have been a major factor in the first week of the tournament. Murray, however, appeared to be the more tired player down the stretch and eventually succumbed in a long final game in which he had break points that could have evened the fourth set at 5-5. In other men’s singles action Wednesday, fifth-seeded South African Kevin Anderson brushed aside Frenchman Jeremy Chardy 6-2, 6-4, 6-4 in just under two hours. Anderson, who was runner-up at the 2017 US Open and at this year’s Wimbledon, was dominant on serve and also showcased his much-improved return game. The 6’8″ South African, whose ranking is currently at a career-best No. 5, did not come close to losing his own serve and also earned four service breaks over three sets. Ninth-seeded Dominic Thiem also advanced to the third round, rallying from a two-set-to-one deficit to defeat American Steve Johnson 6-7 (5-7), 6-3, 5-7, 6-4, 6-1 on Wednesday.